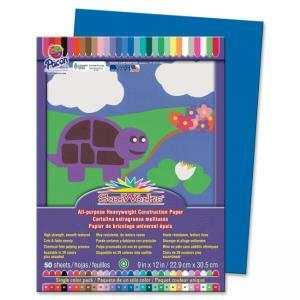 Brightly colored, all-purpose construction paper is made from a high-strength, smooth-textured heavyweight material. Long, strong fibers cut clean and fold evenly without cracking. Paper is made with a chemical-free pulping process to help ensure a cleaner environment. Construction paper is recyclable.